In my consumption of too many hours of television, it’s usual for me to recognize actors and actresses across series or notice a minor appearance in a old Law & Order rerun of a star before they were big. (As I write this I’m thinking, isn’t that True Blood’s Lafayette and Entourage’s Eric in Secretariat?) I’ve made way through so many movies series that when I need quick fix I find myself going back to shows like Bones to play in the background when I’m geeking on the computer. Netflix streaming recently picked up the old show Sports Night, so after a few gruesome murders solved, I moved on to the more lighter comedy series. Hey! The guy that played Will Bailey was in both. I am a huge fan of the show West Wing. I find the writing and acting some of the best in television history. The only thing that made it better when the character Sam left was that this guy stepped in as Will Bailey and filled the gap with another great character. Rob Lowe leaving that show was one of the great tragedies. I always appreciated the actor that carried the story in his place, even though I never really knew who he was. I also just finished watching the second season finale of In Plain Sight, and there he is again as a major character. I’m awful with names. Who IS this guy?! Since Internet Movie Database (IMDb) is my go-to resource for these types of answers, I did a quick search for West Wing, then scanned the cast list for the actor who played Will Bailey and found his name – Joshua Molina. Scanning his filmography, I couldn’t believe he had been in almost a dozen other shows I watch(ed) regularly and had totally forgotten that he was in A Few Good Men, which is where he made his debut. 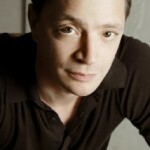 Well Joshua Malina, I’m glad I finally know your name, you’re awesome. IMDb can almost be as bad as YouTube for creating a black hole of link clicking. While writing, I also looked up the cast and crew for Law & Order on IMDb. Wow, that is one crazy long list and doesn’t even count the spinoffs. When was the last time you used IMDb as your pop culture solution? Did you need to figure out the name of an actor or to remind you of the year of your favorite movie? Whatever Happened to Rick Moranis?